If you own a Galaxy S9 and decided to enroll in the Samsung beta program, you should now see a new Android Pie update on your phone. 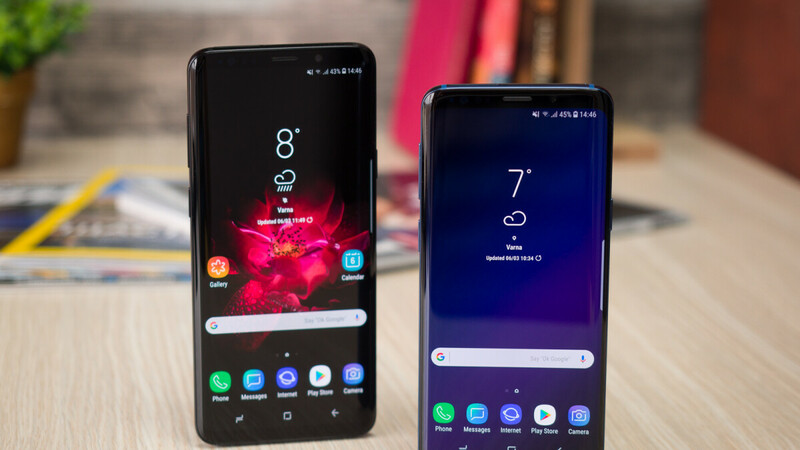 If you're just waiting for the South Korean company to release the final version, we'll let you know how's the update progressing and whether or not Samsung is addressing all the issues reported by Galaxy S9 users. Now, this is would be the third Android Pie beta update that Samsung Galaxy S9 is getting in the United States. As SamMobile points out, the latest update is all about bug fixes and optimizations, which should further improve the Galaxy S9's performance when running Android Pie. Among the most important bug fixes, the changelog mentions call app crashes when searching for unregistered names in the Search bar, Data Roaming not working overseas, freezing of dialer, and many more. You can find the entire list of bugs that have been addressed in this beta build in the screenshot attached to the article. Keep in mind that the update, which weighs in at 590MB, adds the December security patch as well. In the same piece of news, Samsung announced that the first Android Pie update for the Galaxy S9/S9+ will drop early next year, so it won't be long now. Lol. S10 is on the way. I am sure they would delay it to a couple months after S10 releases. Nah it's for sure coming in January the way it's looking at. Hope so, my friend. However, knowing Samsung it would delay that. Prepare for march-april release, mark my words. If you have the beta, you already have pie. And with the latest update it is now on December patch. The only difference is it is technically beta, it is the same version as stable will be, with some minor bugs. So unless you've used a Samsung beta before, you shouldn't comment. The final release will be after the 4th or 5th update. You're acting like their current version is very unstable and needs to be updated immediately. Besides you don't use a samsung phone, so how can you complain? Hole cam huh, what about that notch? Apple’s notch has advance face id, i dunno about copycats. Insecure face id. So their advancement isn't really valued. And while screen holes are a bad idea, the unibrow is a worse design showing even less screen and equally as distracting. Update as fast as the crappy ios but full of bugs? Lol, I bet you are using your wifi right now. Probably doesn't have a choice.